Cerebrovascular diseases are caused by interruption or significant impairment of the blood supply to the brain, which leads to a cascade of metabolic and molecular alterations resulting in functional disturbance and morphological damage. These pathophysiological changes can be assessed by positron emission tomography (PET), which permits the regional measurement of physiological parameters and imaging of the distribution of molecular markers. 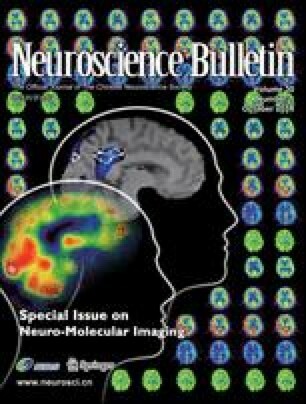 PET has broadened our understanding of the flow and metabolic thresholds critical for the maintenance of brain function and morphology: in this application, PET has been essential in the transfer of the concept of the penumbra (tissue with perfusion below the functional threshold but above the threshold for the preservation of morphology) to clinical stroke and thereby has had great impact on developing treatment strategies. Radioligands for receptors can be used as early markers of irreversible neuronal damage and thereby can predict the size of the final infarcts; this is also important for decisions concerning invasive therapy in large (“malignant”) infarctions. With PET investigations, the reserve capacity of blood supply to the brain can be tested in obstructive arteriosclerosis of the supplying arteries, and this again is essential for planning interventions. The effect of a stroke on the surrounding and contralateral primarily unaffected tissue can be investigated, and these results help to understand the symptoms caused by disturbances in functional networks. Chronic cerebrovascular disease causes vascular cognitive disorders, including vascular dementia. PET permits the detection of the metabolic disturbances responsible for cognitive impairment and dementia, and can differentiate vascular dementia from degenerative diseases. It may also help to understand the importance of neuroinflammation after stroke and its interaction with amyloid deposition in the development of dementia. Although the clinical application of PET investigations is limited, this technology had and still has a great impact on research into cerebrovascular diseases.